MY BROTHER IS HERE MY BROTHER IS HERE! Yippee skippy! My little brother (not so little...he towers over me at 5'9" but still, he's 2.5 years younger than I) hasn't visited me in like...3 years, and he's never visited by himself! We're gonna have so much fun! Yay yay yay! When we first talked about what he'd want to do when he's here, all he said was, "I just want you to make me food." Ha! He was unlucky enough that I didn't really get into cooking until after I moved out, so he tends to get mightily jealous whenever I post yumminess that he can't have. This week(end) we are gonna remedy that. Anyway, in the spirit of tasty food and celebration, I thought today would be the perfect time to share these dinner rolls. I made them for Easter because when Roxana says these rolls are the best, well, I had to try. That woman knows her breads. Essentially these rolls are somewhere in between a classic dinner roll and brioche. They're gorgeously golden on the outside, and fabulously fluffy inside. They're also not super difficult to make-it's nice to have a stand mixer but I made these fine by hand. And ahhh, they smell amazing. Now, do these replace my current favorite dinner roll recipe? But that's me. I prefer that kind of roll. I still really loved these, and Michael raved about them. They're better for if you're looking for a more classy and classic roll. Seriously, if you're having a dinner party-serve these rolls. Oh! And a major bonus-they freeze awesomely. I made these the day before needing them and froze em. They worked wonderfully. You can also make a double batch and just keep these babies frozen until a major roll craving strikes. And let's face it, who doesn't get hit with the occasional roll craving? Adapted slightly from Roxana's Home Baking's "The Best Dinner Rolls"
In a large mixing bowl (or bowl of a stand mixer) combine 1/2 cup flour, 1/2 cup water, and yeast. Combine and let sit at room temperature until bubbly, with a spongy texture. In a small bowl whisk eggs, yogurt, sugar, salt, and 1/4 cup water. Using the dough hook on a stand mixer, or a sturdy spatula/spoon, add the wet ingredients into the yeast mixture. Slowly (on low speed), little by little, add in the 3 and 1/4 cups flour. Once the flour is fully incorporated, pour in the 4 tbsp. melted butter. If using a mixer: slowly increase the mixer' speed from low to high. Keep mixing for 2-3 minutes and turn the mixer off. With a wooden spoon or a spatula, clean the sides of the bowl, scraping down the sticky dough. Turn the mixer back on and mix on medium-to-high for another 2-3 minutes or until the dough will start to clean itself from the sides of the bowl. 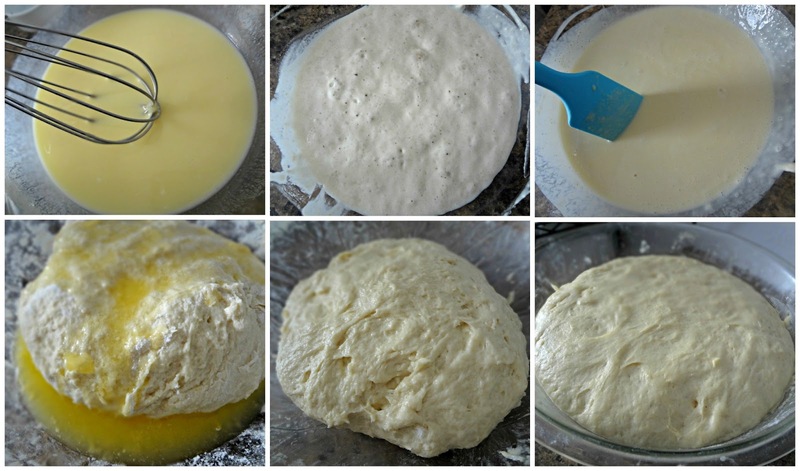 If not using a mixer: Using your hands and/or a spatula/spoon knead the dough until the butter is combined and you have a nice, pliable, but sticky, dough. It's still going to be little sticky, don't be tempted to add flour. Transfer to a clean buttered bowl, or just make sure the current bowl it's in is sufficiently greased. Cover lightly with greased plastic wrap or a towel and let sit in a warm place for 1 and 1/2 hours, until doubled in size. Punch down the risen dough and, with floured hands, divide into 20 even pieces, shaping into balls. Place them on a prepared baking sheet. At this point you can freeze the rolls by covering the rolls on the baking sheet very well with plastic wrap and freezing. When ready to use, allow to come to room temperature, then bake as directed below. 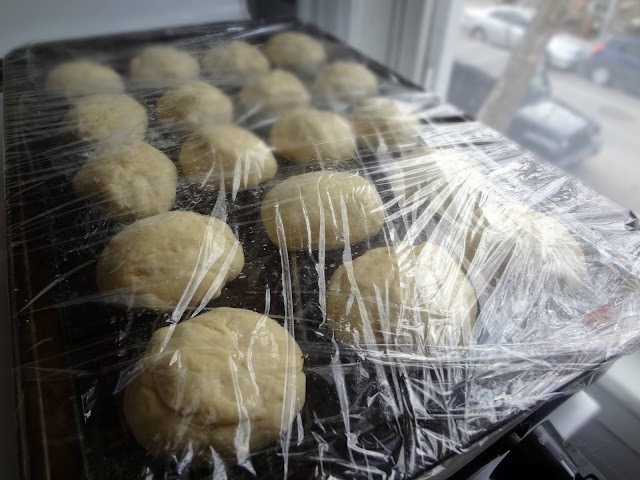 If not freezing, cover shaped roll dough with greased plastic wrap or a towel and let rise in a warm place for an additional 30-40 minutes. 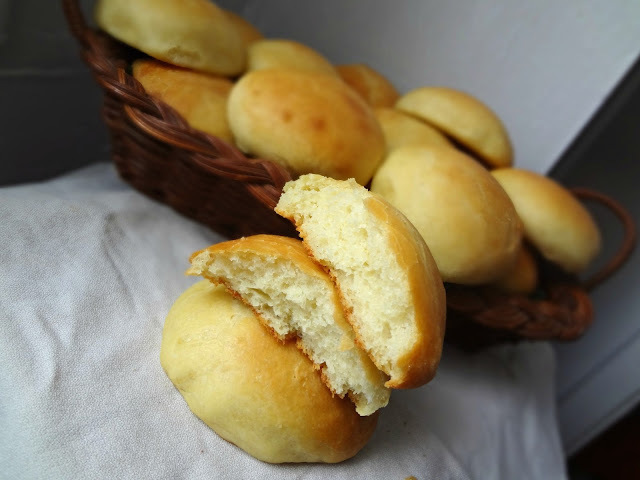 Bake rolls 20 minutes, or until golden brown. 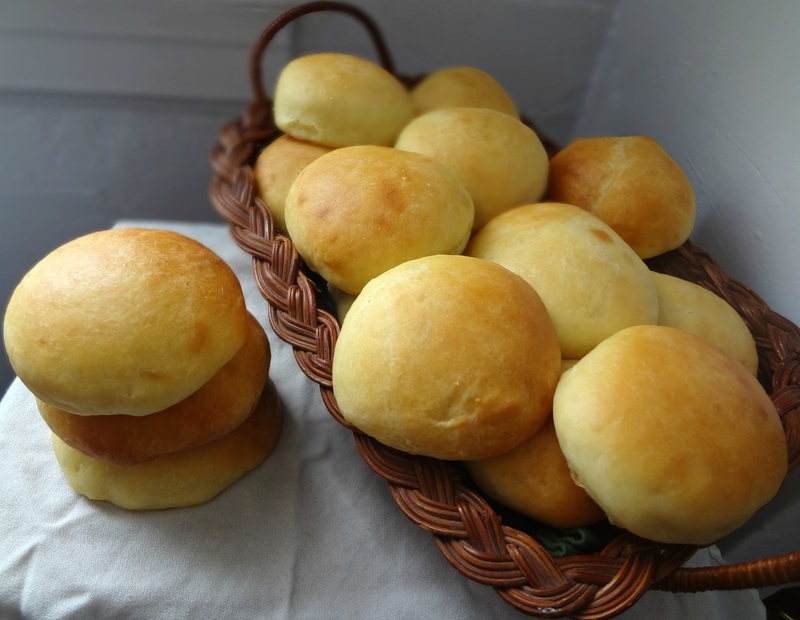 Once removed from the oven, brush tops of rolls with melted butter, if desired. I love the new blog lay-out, Kayle! and these dinner rolls looks divine! The redesign looks great. Exactly the proper look for a cooking actress. :) I hope your brother enjoys his visit and all your yummy cooking. I'm a sucker for bread and these are looking pretty good. Love the site redesign. Can I just say that I'm LOVING your new design??! It looks amazing on your blog :) And the signature is pretty sweet too!! 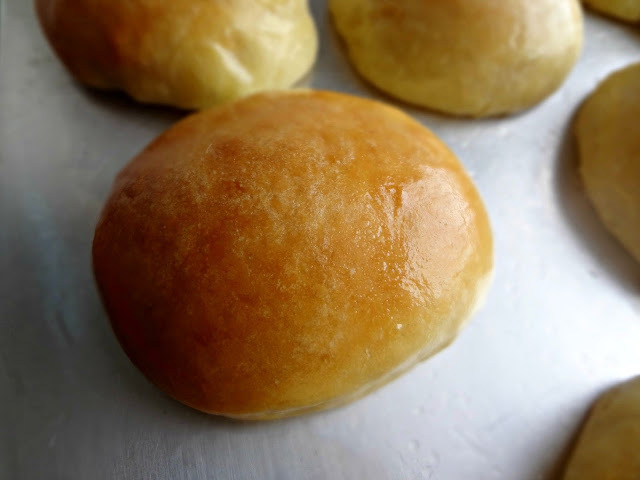 I love a good dinner roll, and these look awesome! I love your new blog design! Have fun with your brother! Love the rolls. Love the new design! Also yum on the rolls and fun with your brother this weekend. These look so good! Nothing beats a good dinner roll. Have a great time with your brother visiting! The new blog design looks nice. You whittled down your "blogspiration" though. I don't have a blog so I would often use yours to link to other blogs I liked. Hope I can remember some of the others. These rolls look yummy, too, by the way... Enjoy the visit with your brother. I can relate to visits too far apart. I live in Cincinnati and my brother lives in Seattle!! I LOVE the new design, it is so pretty! 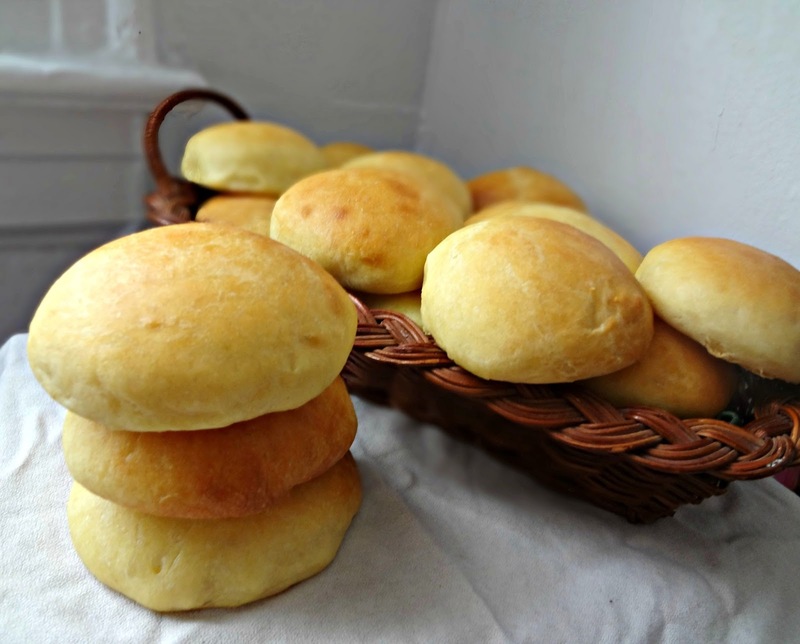 These dinner rolls look perfect, they look so soft and fluffy. OMG! Your blog looks insanely awesome! I opened the tab and then came back to it later and I was all like what blog is this? :D Seriously fab! Have a great time with your brother! But what's up with name/url not being an option to comment as? KAYLE! Your blog looks AMAZING!!! It looks...so you :) I just love it, all sparkly and new :) And these rolls look absolutely insane. Everything about this combo is just YAY. Congrats on the new design!! Look at you, all fancy with your new design! Yay!! I AM FEELING DAT SPARKLE! Have fun a great time with your brother! Hes lucky that he gets to eat these rolls which look mighty fantastic.